In addition to being an established visual artist (primarily a sculptor and painter), Ikechukwu Okafor-Newsum (Horace Newsum) is Associate Professor of Literature and Political Economy in the Department of African-American and African Studies at The Ohio State University (Columbus). 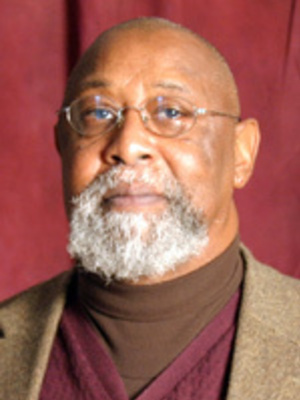 From 1988 to 1991 he served as Director/Program Manager of the OSU Department of African-American and African Studies Community Extension Center. He was born in Memphis, Tennessee where he graduated from Hamilton High School. He received a Doctor of Arts Degree in 1977 from the University of Michigan (Ann Arbor) in Rhetoric and Sociolinguistics, a Master of Arts (1974) from Governors State University (Illinois) in Literature and the Social Condition, and a Bachelor of Arts (1973) from Chicago State University in English Language and Literature. Ikechukwu Okafor-Newsum is the principal editor of Working Papers: The Black Woman, Challenges and Prospects for the Future (with Carlene Herb Young et al, 1991), and author of Class, Language and Education: Class Struggle and Sociolinguistics in an African Situation (1990). Dr. Newsum has co-authored two books, The Use of English (with Adebisi Afolayan, 1983); and United States Foreign Policy Towards Southern Africa: Andrew Young and Beyond (with Olayiwola Abegunrin, 1987). His most recent work is SoulStirrers: Black Art and the Neo-Ancestral Impulse in Cincinnati (University Press of Mississippi, forthcoming 2015). His current research interests concern visual culture and post-colonial literatures. Dr. Newsum is adjunct associate professor in Film Studies and the Department of English, and faculty associate in the Centers for African Studies and Folklore Studies, and in Women's Gender, and Sexuality Studies (OSU).